restoring a backed up source database to a target database. In this article, we will take a closer look at each method and determine differences between them. 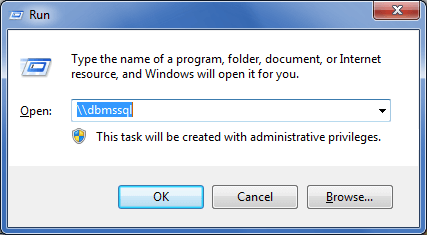 NOTE: to use this method, SQL Server version on the target must be the same or higher that that on the source. 1. In Database Explorer, right-click a source database, point to Tasks and select "Detach Database..." from the shortcut menu. 2. The Detach Database dialog box opens with the name of the database in it. 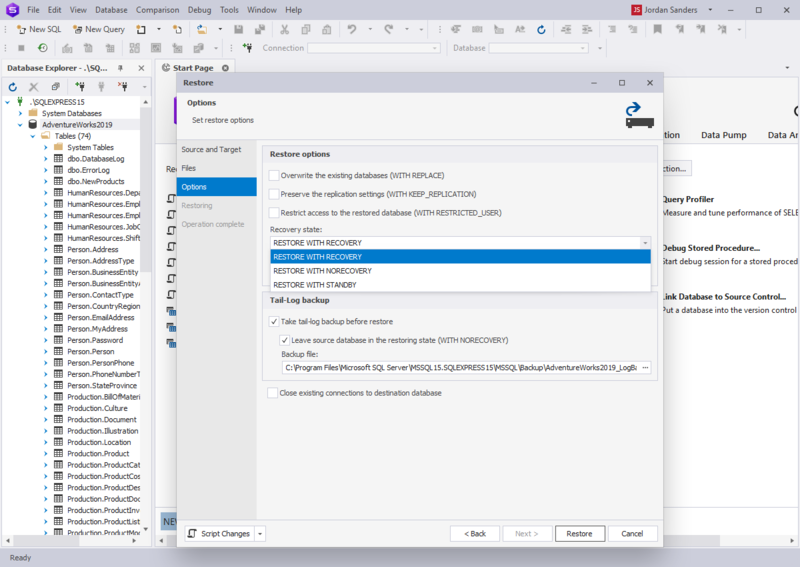 Click OK.
copy the detached database file (*.mdf) and the log file (*.ldf), and paste them to the target location, or to the folder, shared between two servers. NOTE: To perform step 3, you should have administrator privileges. 5. Right-click the target connection, point to Tasks and select "Attach Database..." from the shortcut menu. 6. The Browse Files and Attach Database dialog boxes open. In the Browse Files dialog box, select the required database and click OK.
7. The database file and log file will appear in the Attach Database dialog box. Click OK.
8. 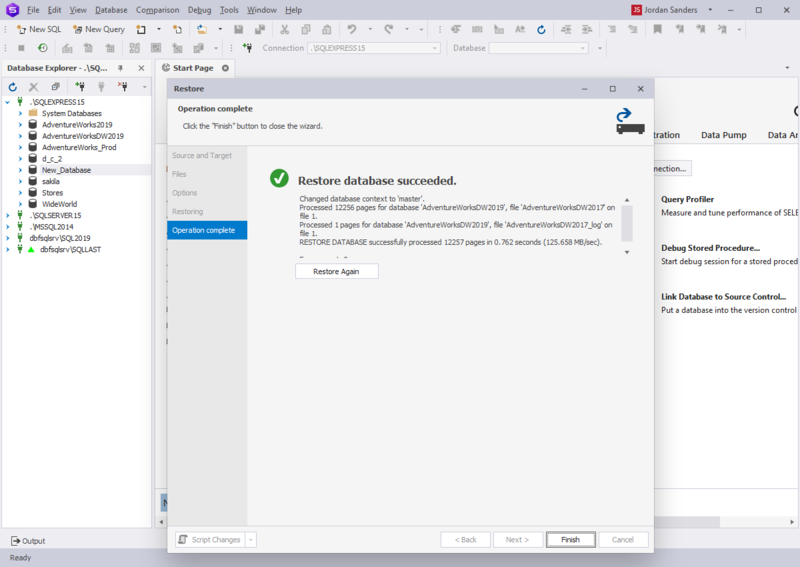 Reattach the database to the source connection. 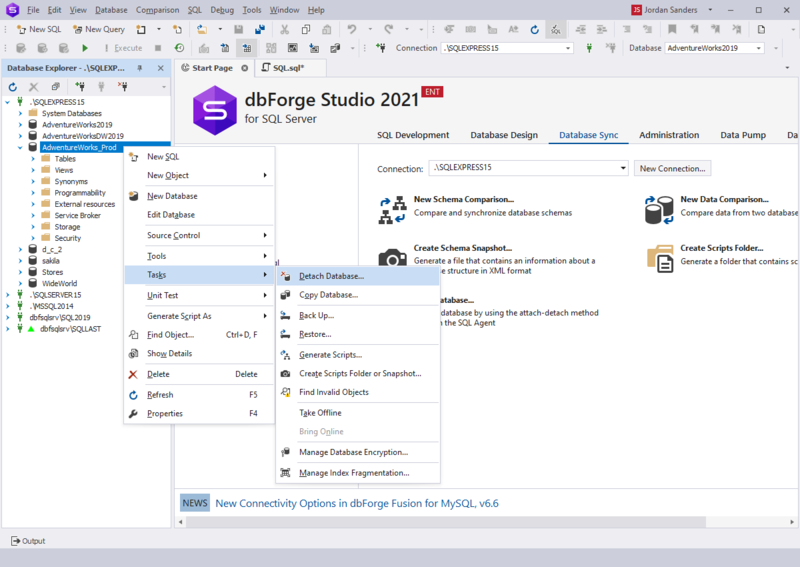 dbForge Studio for SQL Server enables to automate the aforesaid procedure with help of the Transfer Database wizard. 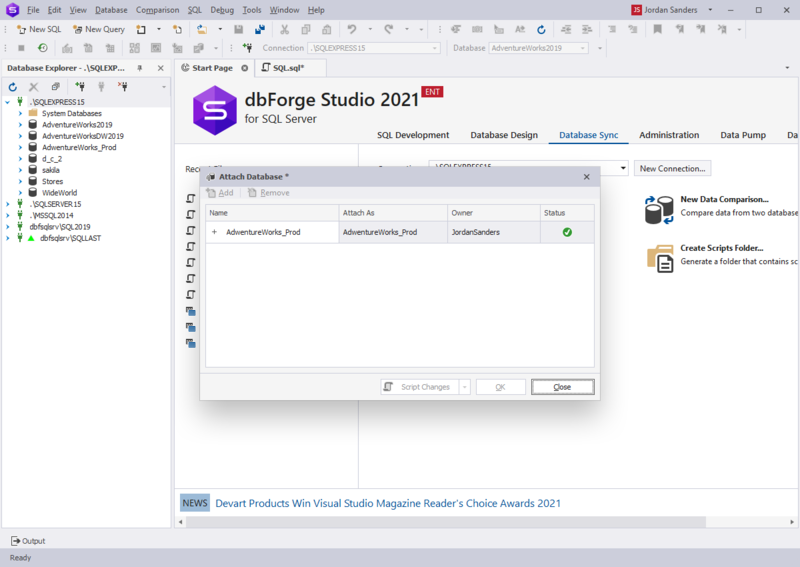 For more infomation, see Copying SQL Server Database with the Copy Database Wizard. 1. Backup the source database. 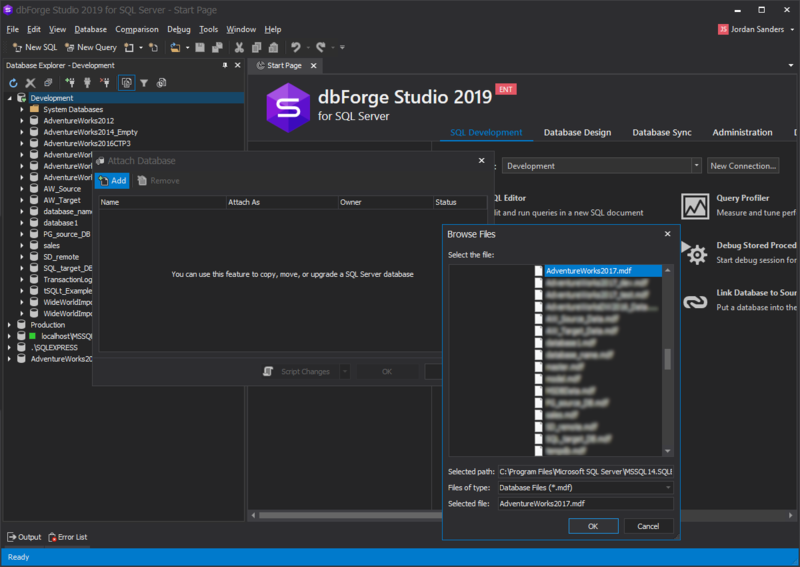 See the detailed step-by-step guidance on how to backup an SQL Server database. NOTE: you should backup the source database to the folder, shared between the servers. Otherwise, you should move the backup file to the target server - see step 3 for the Detach and Attach method. 2. 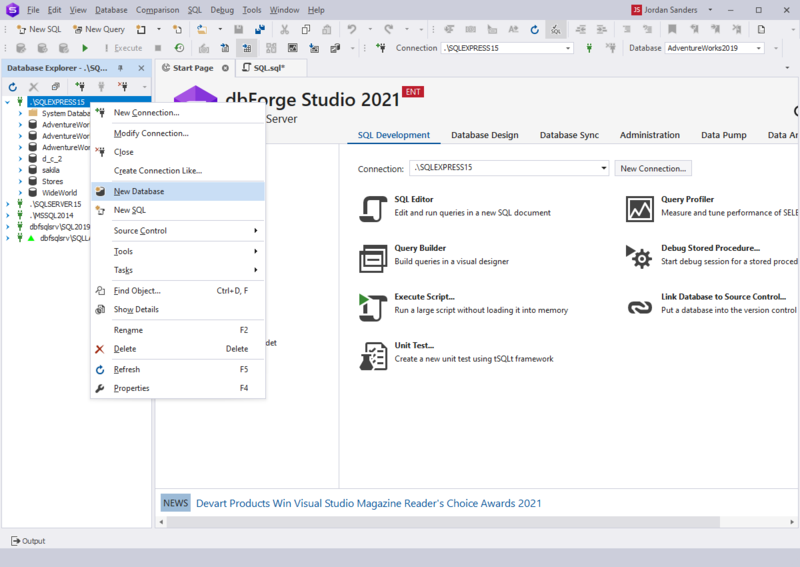 Create a new target database: in Database Explorer, right-click the target connection and select "New Database". 3. Right-click the new database and select "Restore". The Restore wizard opens. 6. (Optional) On the Options tab of the wizard, set the required options for the backup procedure. Click "Restore". 7. Wait till the restore process is completed and click "Finish". 1. 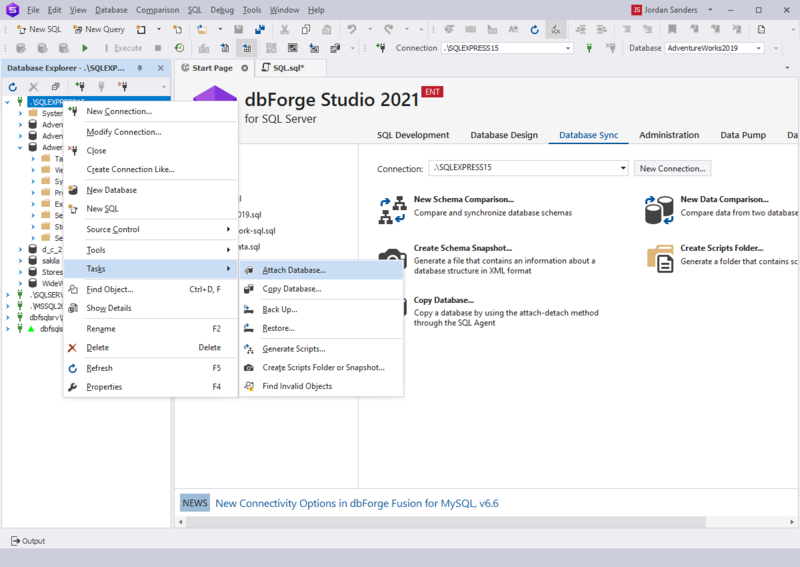 Create a new target database: in Database Explorer, right-click the target connection and select New Database. 2. 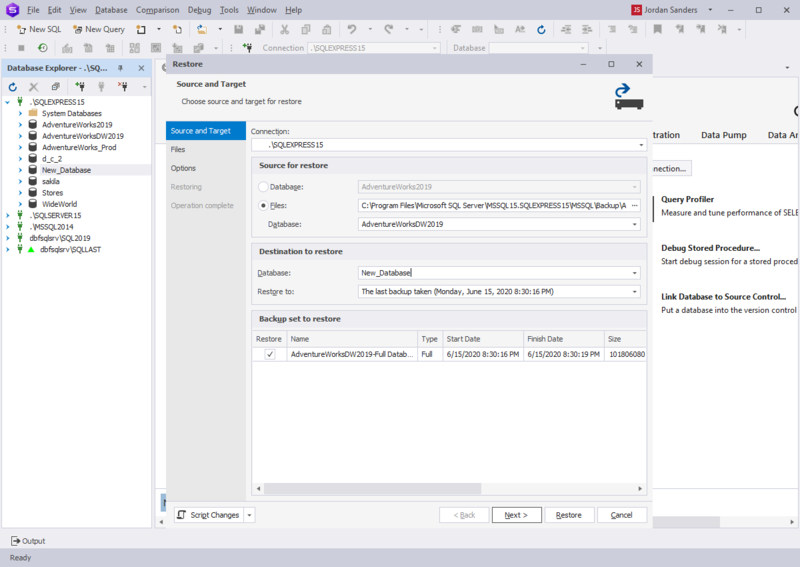 Compare and synchronize schemas of the source database with the target database. See the detailed step-by-step guidance on how to compare and synchronize SQL schemas. 3. Compare and synchronize data of the source database with the target database. See the detailed step-by-step guidance on how to compare and synchronize SQL data. 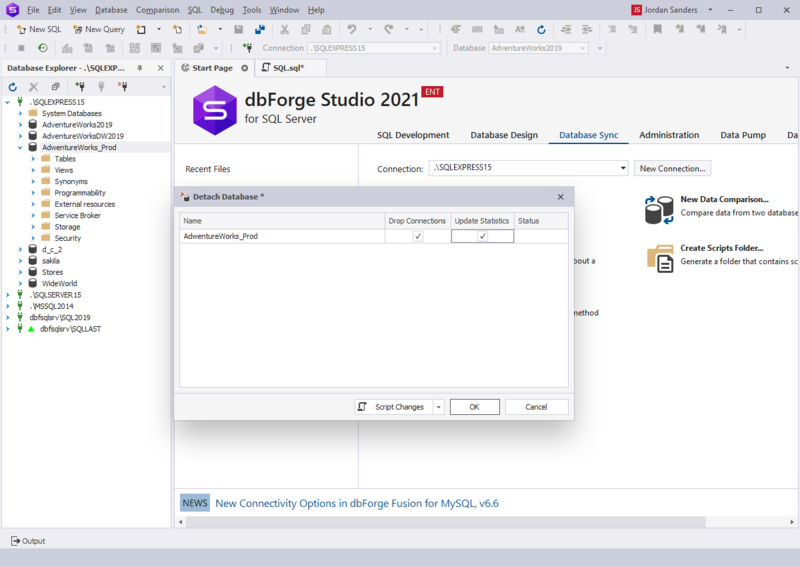 With dbForge Studio for SQL Server, you can copy a database in three different ways. Each of them has its strong and weak points, however, sometimes only one method can can be used for a certain task, e.g., if SQL Server versions of target and source do not coincide, or one of them is less, than SQL Server 2005, only the Data and Schema Comparison and Synchronization method can be used. To sum up, we would like to list pros and cons of each method. the fastest way to copy a database. can't be used on Windows Azure. can be used on Windows Azure.